For nearly a decade, we’ve been honored to support the YWCA of Greater Cincinnati as our designated pro-bono client. Their mission of eliminating racism and empowering women is more relevant and important than ever. As a women-owned business, we fully embrace this calling. Our community has done so much for Madison Design; this is how we can show it some love in return. 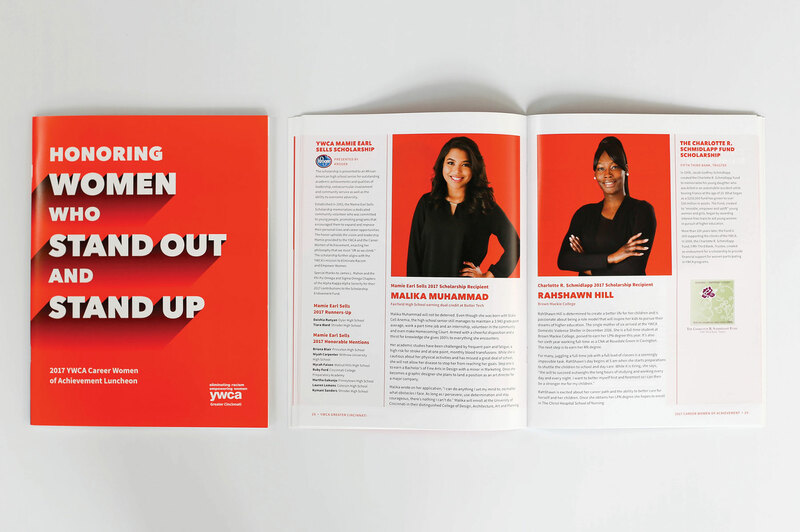 Women today must advocate for their beliefs by standing up and standing out—as should the YWCA’s annual fundraising event. 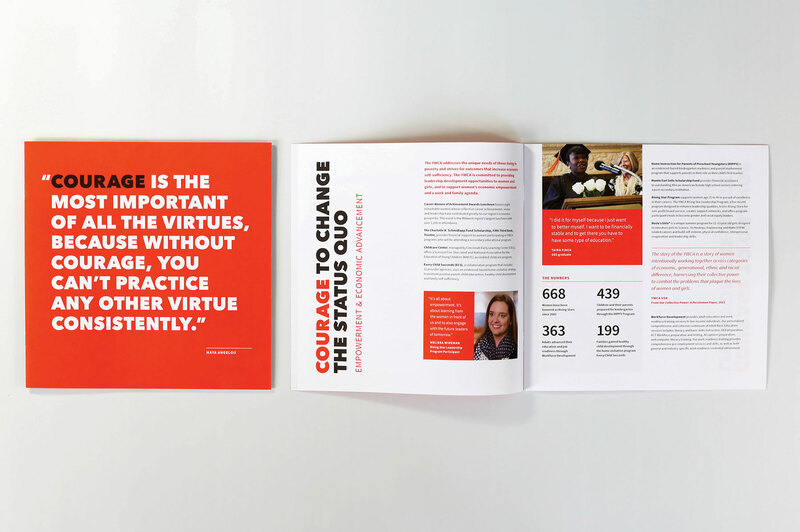 We crafted this bold theme and event program on the foundation built by YWCA’s national brand. The luncheon, the largest of its kind in Cincinnati, has increased attendance every year, drawing 2,100 community and business leaders. Inspiration is just the start. 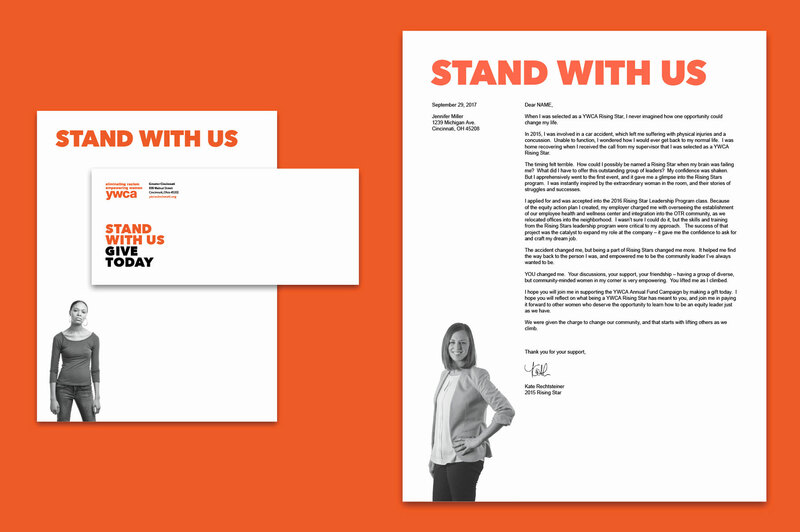 To translate participation into real support, we helped create and coordinate a series of solicitation letters, customized to several segmented audiences. We also helped outline a new visual strategy, recommending photos of empowerment when depicting difficult subject matter. As the client introduced new leadership, we found a way to introduce a new format and design approach for their annual report. Bold layout, photo styles, coloring and type style all reflected a yearlong theme that celebrated courage. And by pulling numbers forward with more data visualization, we conveyed a strong sense of impact.